International Center for Theoretical Physics' Dirac Medal, first awarded in 1985, is given in honor of P. A. M. Dirac, one of the greatest physicists of the 20th century and a staunch friend of the Centre. It is awarded annually on Dirac's birthday, 8 August, to scientists who have made significant contributions to theoretical physics. The Fermi Award is a Presidential award and is one of the oldest and most prestigious science and technology honors bestowed by the U.S. Government. The Enrico Fermi Award is given to encourage excellence in research in energy science and technology benefiting mankind; to recognize scientists, engineers, and science policymakers who have given unstintingly over their careers to advance energy science and technology; and to inspire people of all ages through the examples of Enrico Fermi, and the Fermi Award laureates who followed in his footsteps, to explore new scientific and technological horizons. 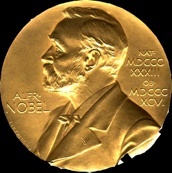 To recognize outstanding accomplishments in the field of gravitational physics. 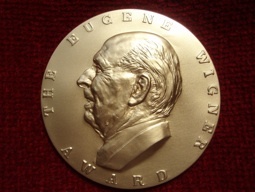 "For pioneering investigations in general relativity, including gravitational radiation, quantum gravity, black holes, space time singularities, and symmetries in Einstein's equations, and for leadership and inspiration to generations of researchers in general relativity." "For a broad range of original contributions to gravitational physics, especially in quantum gravity, gauge field theories, radiation reaction in curved spacetime, and numerical relativity; and for inspiring a generation of students." 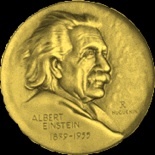 The Albert Einstein Award was an award in theoretical physics that was established to recognize high achievement in the natural sciences. 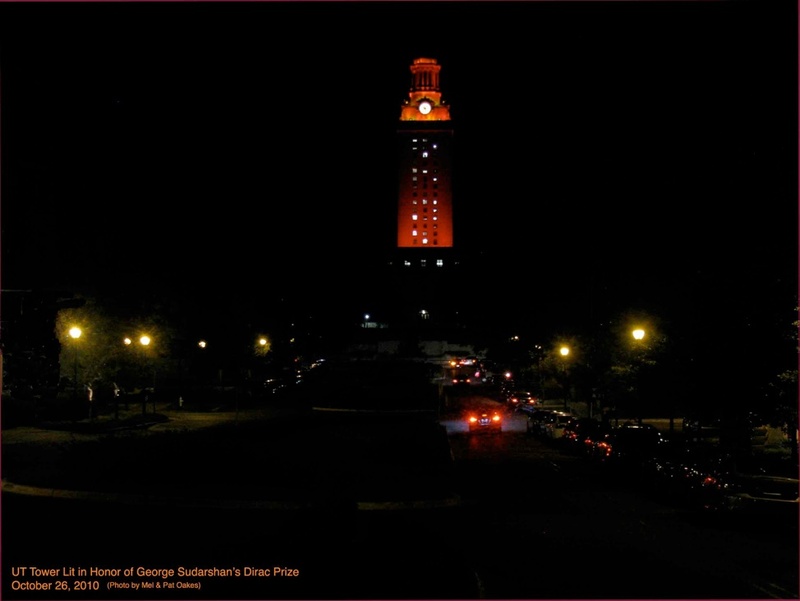 It was endowed by the Lewis and Rosa Strauss Memorial Fund in honor of Albert Einstein’s 70th birthday. Established 1936. The Oersted Medal recognizes those who have had an outstanding, widespread, and lasting impact on the teaching of physics. Presented by President Nixon at a White House Ceremony on May 21, 1971. "For his contributions to the discovery of the structure of the fundamental forces of nature; the development of the standard model, and the unification of the weak and electromagnetic forces." Presented by President Bush at a White House Rose Garden Ceremony on September 16, 1991. “For his fundamental contributions to plasma physics, his pioneering work in computational statistical mechanics, his world leadership in the development of controlled thermonuclear fusion, and his wide-ranging technical contributions to national security." Presented by President Bill Clinton at a ceremony in Room 450, Old Executive Office Building, on Tuesday, December 16, 1997. 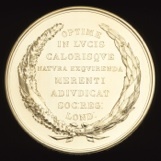 The Matteucci Medal was established to award physicists for their fundamental contributions. Under an Italian Royal Decree dated July 10, 1870, the Italian Society of Sciences was authorized to receive a donation from Carlo Matteucci for the establishment of the Prize. Carlo Matteucci (June 21, 1811 - June 25, 1868) was an Italian physicist and neurophysiologist who was a pioneer in the study of bioelectricity. 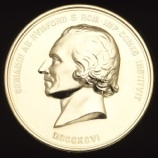 The Rumford Medal is awarded biennially (in even years), by the Royal Society of London for "an outstandingly important recent discovery in the field of thermal or optical properties of matter and their applications, made by a scientist working in Europe, noting that Rumford was concerned to see recognized discoveries that tended to promote the good of mankind". To recognize and encourage outstanding achievement in fluid dynamics research. 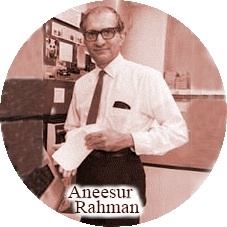 "In recognition of his definitive characterizing of the onset of turbulence, his pioneering investigations of chaotic advection and fluid dynamics in rotating flows, and his discoveries and insights concerning pattern formation in chemical dynamics using novel experimental techniques. 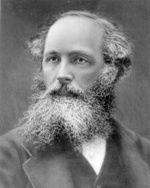 Professor Swinney's efforts were the first to bridge the gap between nonlinear dynamical systems theory and laboratory investigations of flow phenomena. His ability to bring together different fields of science to explore new ground with rigor, dedication, and enthusiasm is truly remarkable." 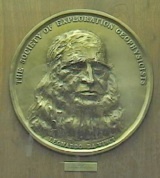 The Virgil Kauffman Gold Medal is awarded to a person who, in the unanimous opinion of the SEG Honors and Awards Committee and the Executive Committee, has recently made an outstanding contribution to the advancement of the science of geophysical exploration. "For his remarkable achievement in building shipborne gravity meters.."
To recognize and encourage outstanding research in Atomic, Molecular and Optical Physics by investigators who have held a Ph. D. for 10 years or less. "For his pioneering advances in the experimental study of atom optics, and especially for the insightful connections he has developed between this discipline and studies of chaotic dynamics, condensed matter physics, and dissipative quantum systems." 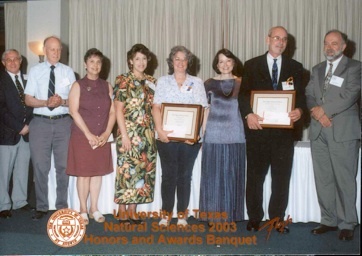 The Alan T. Waterman Award is the highest honor awarded by the National Science Foundation. Since 1975, when Congress established the award to honor the agency’s first director, the annual award has been bestowed upon individuals who have demonstrated exceptional individual achievement in scientific or engineering research of sufficient quality to place them at the forefront of their peers. "For his contributions to the understanding of the basic structure of matter through experiments that discovered and explored an entirely new collection of subatomic particles. The experiments led to the interpretation of the new particles as being composed of simpler constituents, possessing a new property of matter." The Padma Bhushan award is an Indian civilian decoration established 2 January 1954 by the President of India. It stands third in the hierarchy of civilian awards. It is awarded to recognize distinguished service of a high order to the nation, in any field. he National Academy of Sciences (NAS) is an honorific society of distinguished scholars engaged in scientific and engineering research, dedicated to the furtherance of science and technology and to their use for the general welfare. The NAS was established by an Act of Congress that was signed by President Abraham Lincoln on March 3, 1863, at the height of the Civil War, which calls upon the NAS to "investigate, examine, experiment, and report upon any subject of science or art" whenever called upon to do so by any department of the government. The Agostinelli Prize is awarded every other year to an eminent scholar, Italian or foreign, in the fields of Pure and Applied Mechanics or Mathematical Physics. The prize is awarded by the Accademia Nazionale dei Lincei, the oldest scientific academy worldwide, which included Galileo, Einstein, Fermi, and Pasteur as members. "Morrison's scientific output is of indubitable scientific significance in the field of nonlinear and nondissipative dynamical systems and it touches upon a variety of both fundamental questions and questions relevant to the application of fluid mechanics and plasma physics." 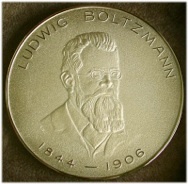 The Boltzmann Medal is the most important prize awarded to physicist that obtain new results concerning statistical mechanics; it is named after the celebrated physicist Ludwig Boltzmann. 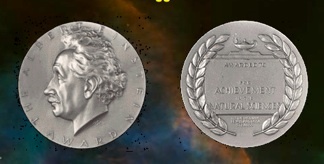 The Boltzmann Medal is awarded once every three years by the Commission on Statistical Physics of the International Union of Pure and Applied Physics, during the STATPHYS conference. 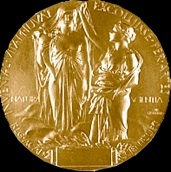 The award consists of a gilded medal; its front carries the inscription Ludwig Boltzmann, 1844--1906. To recognize and encourage outstanding achievement in computational physics research. The prize consists of $5,000, an allowance for travel to the meeting of the American Physical Society at which the prize is awarded and at which the recipient will deliver the Rahman Lecture, and a certificate citing the contributions made by the recipient. The prize will be presented annually. "For computational applications of quantum theories to understand and predict material properties." Purpose: The IUPAP C10 Young Scientist Prize recognizes exceptional achievement in the study of the structure and dynamics of condensed matter by scientists at a relatively junior stage of their career. One prize per year will be awarded on the basis of nominations received. The recipient must be no more than eight years post PhD (excluding career interruptions) by the deadline of the competition, and is expected to have displayed significant achievement and exceptional promise for future achievement in an area of experimental, computational or theoretical condensed matter physics. Not Present: Pete Antoniewicz (SMTW), Bill McCormick (SMTW), Jack Turner (SMTW).